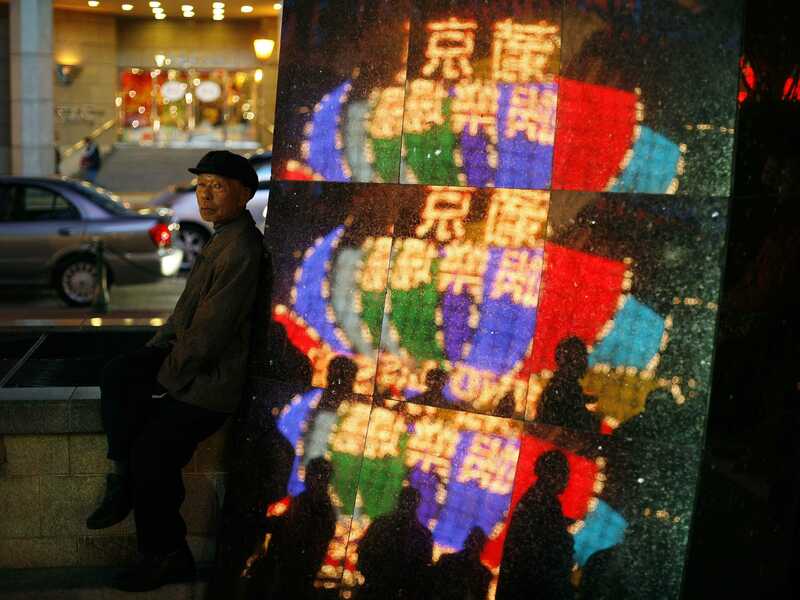 ReutersAn elderly man sits outside a Macau casino reflecting Casino Lisboa owned by tycoon Stanley Ho. October’s Macau revenue numbers are in, and what’s clear is that the retail gambler is not going to save Macau. Yes, the VIP high-rollers are staying away from the tables because of China’s nation-wide corruption crack down, but mass market numbers — families, middle class people etc. — will steadily increase as more Chinese enter that middle class. This will not only save Macau over time, but also change it forever. Instead of a gangster’s paradise in the South China Sea, it will become the kind of place where Cher and Celine Dion want to do month-long residencies. That’s the dream. Now Wall Street is starting to see the reality. In October, Macau’s mass market revenue declined 8%, while VIP revenue fell a whopping 30.8%. A lot of analysts thought that mass market revenue would be up in the single digits. In a recent research note, Sterne Agee says that the mass decline was probably due to new smoking regulations in casinos. “We believe operators have worked to re-designate certain premium mass stables to VIP in order to comply with recently implemented smoking restrictions to the mass floor. Smoking is still allowed in VIP rooms, while the mass floor has gone smoke free,” said the note. OK, so mass market players are getting kicked off their tables. That could be something. But is it enough for an 8% decline? For months Wall Street has cited a myriad of reasons why Macau’s numbers are falling — smoking bans, a casino heist scaring off VIP customers… These are issues that will (hopefully) normalize sooner rather than later. But there’s reason to believe Macau’s problems are more long-term. At least Sterne Agee admits the corruption campaign is impacting mass market individuals too, not just the high-powered VIP customers China’s government has been trying to crack down on. That’s more of an admission than Macau’s issues are longer term than analysts initially thought. Here’s what really needs to be added to the equation, though. China’s economy is slowing down fast. This month all of the most closely watched Chinese business surveys were dismal. The HSBC services PMI fell to 52.9 in October from 53.5 in September. The HSBC manufacturing PMI rose to 50.4 from 50.2. The CFLP manufacturing PMI retreated in October to 50.8 from 51.1. The CFLP non-manufacturing PMI also moved lower to 53.8, the lowest since January. The government is committed to letting this happen, only intervening enough to prop up major banks so that they can continue lending to cash strapped, highly indebted Chinese corporates. In other words, this isn’t over yet. In the meantime, China’s casino-goers may want to save their yuan for something else.